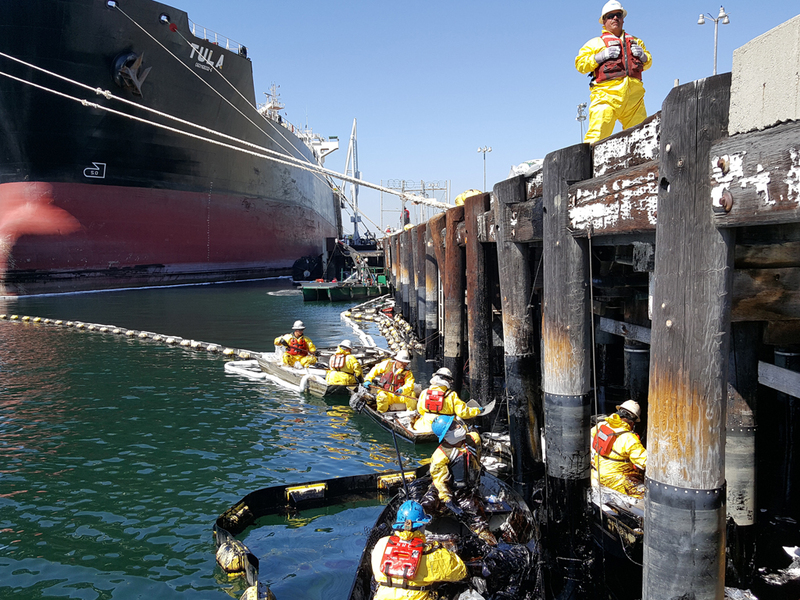 On March 31, 2016, approximately 100 barrels of a heavy fuel oil and oily-water mix spilled from a 47,000 DWT oil tanker in the Port of Los Angeles during a routine fuel transfer operation at one of LA’s busiest port terminals. Upon notification, NRC immediately activated and responded to the site with 55+ personnel along with boom, skimmers, skiffs, deck boats, pressure washers, hot oil trucks, 120BBL Vacuum units, and light towers for night operations. The spill was completely contained. Cleanup operations were complicated by oil washing under the pier and trapped in the riprap and seawall. Significant tidal variations further complicated the cleanup effort. 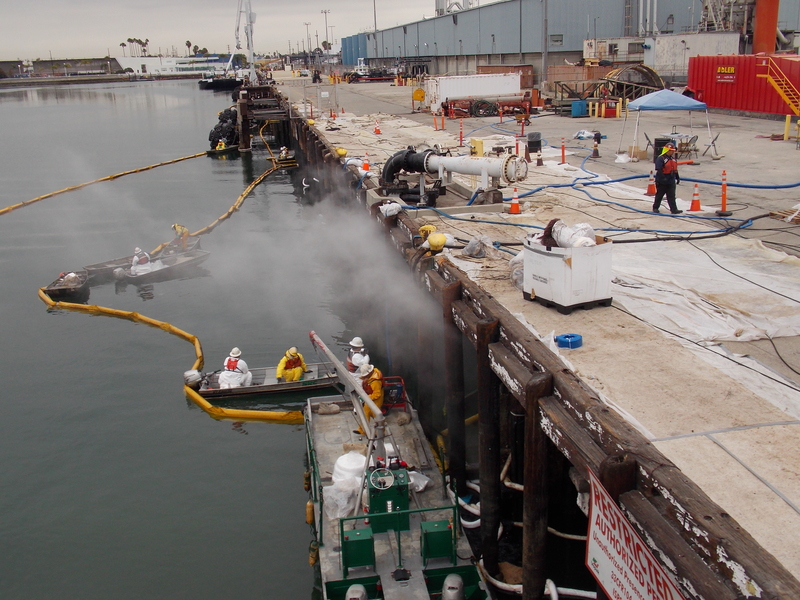 NRC completely mitigated the spill and handled the entire operation from the initial response to cleanup and decon of the ship, pier, riprap and seawall. All equipment was decontaminated, and NRC disposed of all liquid and solid wastes. No land-based remediation was required. This spill was the second spill incident in the Port within the month of March. NRC mitigated both incidents. NRC was the primary OSRO for the terminal operator. 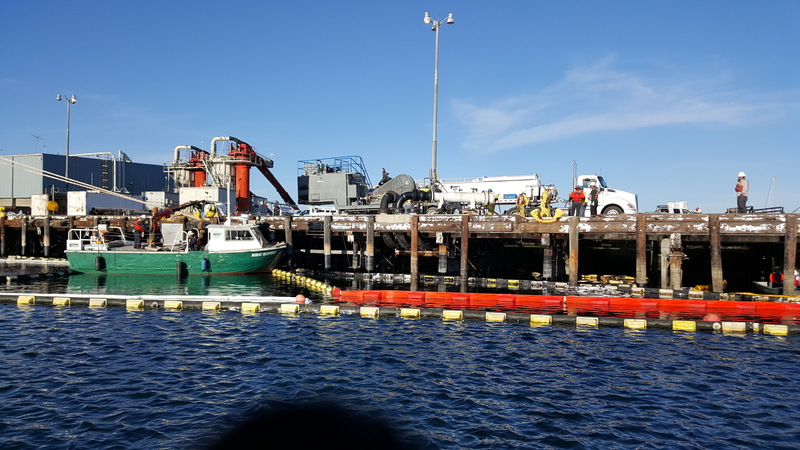 Upon notification from the client, NRC was on scene at the site of the spill with responders and response equipment within one hour of activation. The response to this event was very successful. The goal was to clean up the spill as quickly as possible address any concerns from the regulatory agencies and local stakeholders; and to allow the Port and Terminal to resume routine operations as quickly as possible. The operation was completed safely and no injuries occurred.